Renting a bike is a great way to explore the bike paths along most of the 80 miles of Los Angeles and Orange County beaches. Bike rental locations are available at most Southern California beaches and this guide will tell you exactly where to find them in each beach city. The standard for biking the beach path is the beach cruiser, a heavy, single-gear bike, which is the most economical to rent. Some rental locations offer more bike options, including tandem bikes, pedal karts, and bike surreys with seats for two to eight people. A few rental companies only rent by the day, but most have hourly rental options. Most bike rental locations, especially those directly on the bike path, only accept cash. 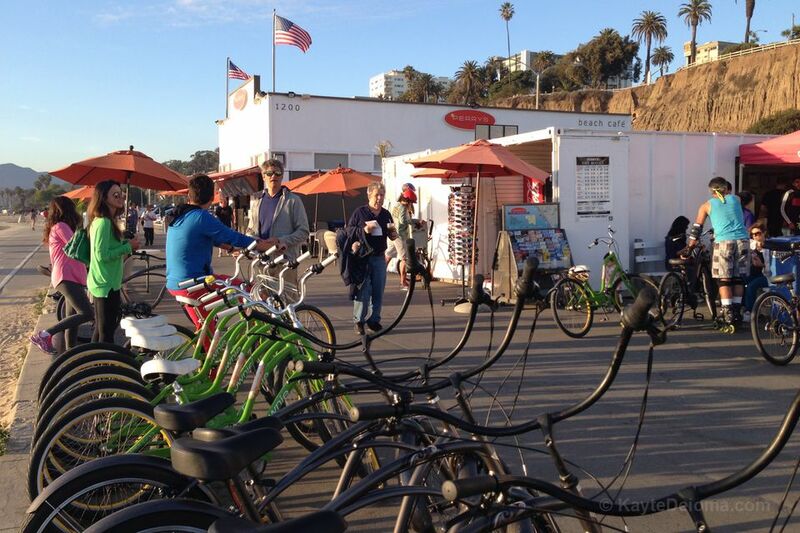 If you want to pay with a credit card, look for a location that also has bike sales or uses the automated Bikeshare bikes now available in Santa Monica, Venice Beach, and Long Beach. You can also link your Metro TAP card to the Bikeshare systems through the Social Bicycles app to pay via TAP card. Note: Just under a mile from the beach, a very friendly family business. Newport Beach has some of the best bike rental rates in Southern California with lower hourly and daily rates than most LA County locations, but once you leave the Huntington Beach Bike Trail there's no beach bike path, so you have to bike on streets or along Pacific Coast Highway.